Jypyä Pop (Turku, Finland) on 3 December 2018 in Lifestyle & Culture and Portfolio. This is a nice Christmas decoration. Lovely to see this little christmas scene. Une belle décoration de Noël! A festive display. But where is Leevi? @beach: Thank you. Leevi is resting somewhere on a couch or other sleeping place. What a warm and beautiful Christmas decor. I love this. Noël Noël arrive !..... Très belle décoration. 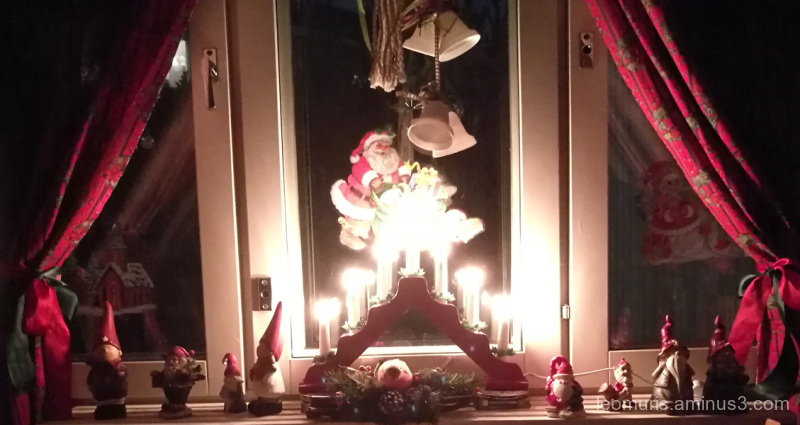 Oiva made a lovely Christmas scene, but as Beach said...where is Leevi? I'm surprised he is not up in the middle of it. His crazy friend in Texas (Rocky) would be. @B. Thomas: Leevi said: It's a fantastic thing to have a friend in Texas. All cats do not have. Leevi decided to rest, because he was tired of participating. It's great that you liked it. A magical Christmas ambiance captured in this shot! A beautiful creation that Oiva made! Lots of Christmas atmosphere! Beautiful!